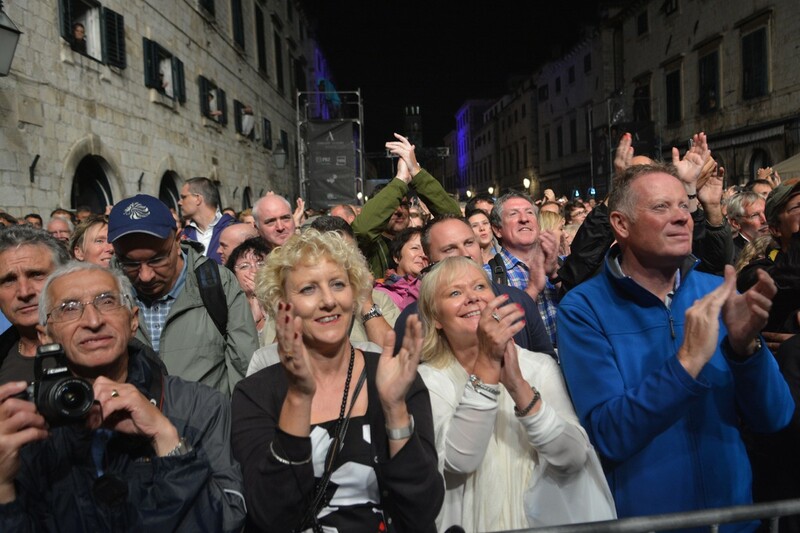 Rain clouds hovered over Dubrovnik all day yesterday, and with intermittent showers it seemed that the chances of the concert going ahead were slim. 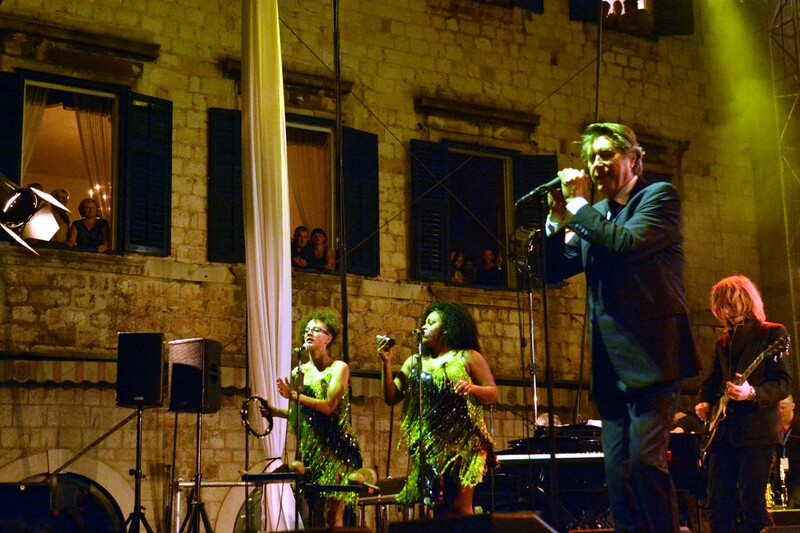 A huge downpour at around 21 30 threatened to cancel Bryan Ferry’s big night in Dubrovnik but around and hour later the big screens came back on and musicians appeared on stage to tune their instruments. 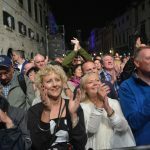 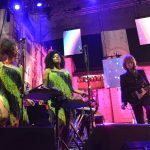 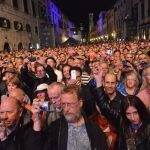 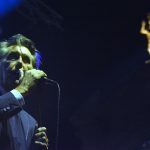 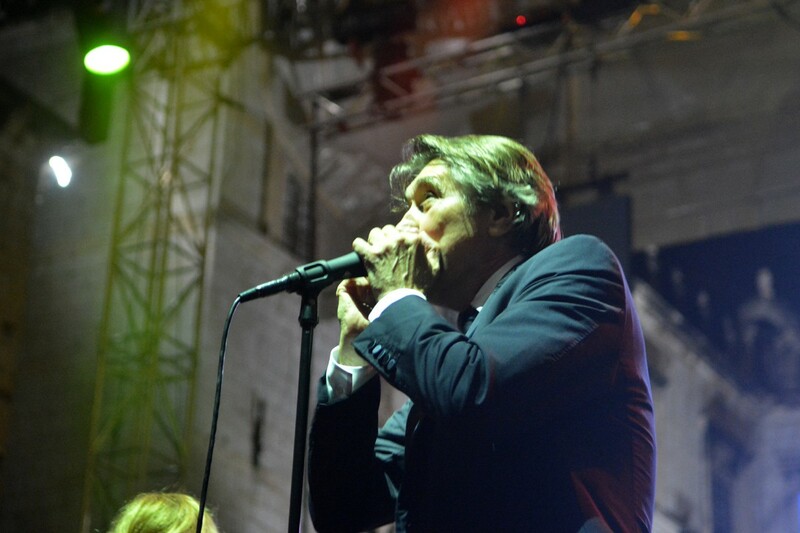 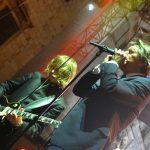 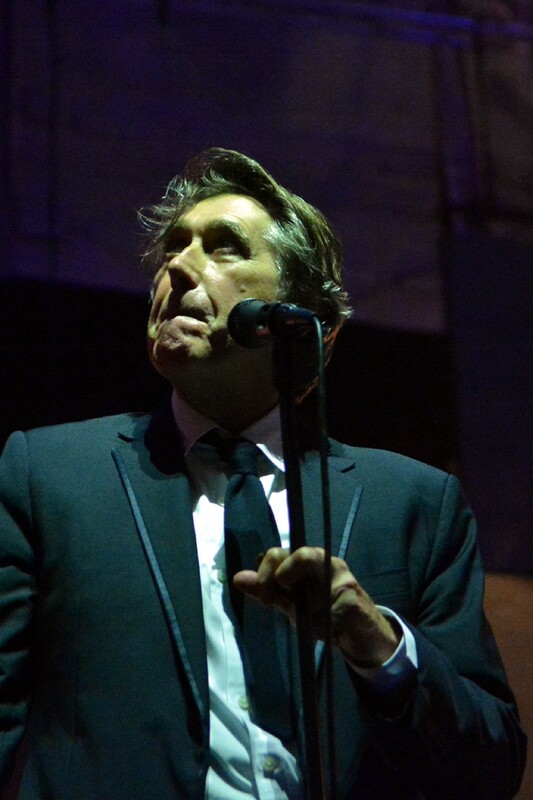 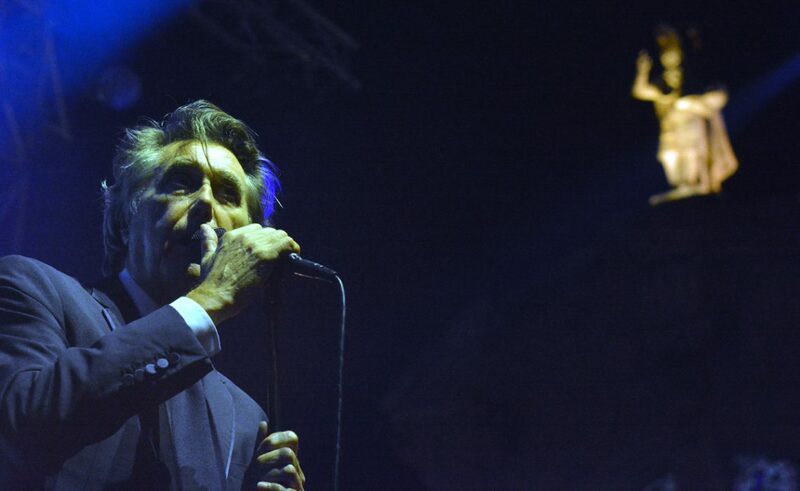 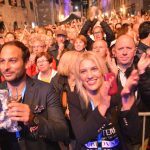 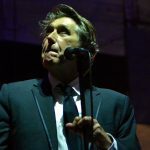 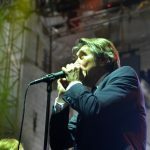 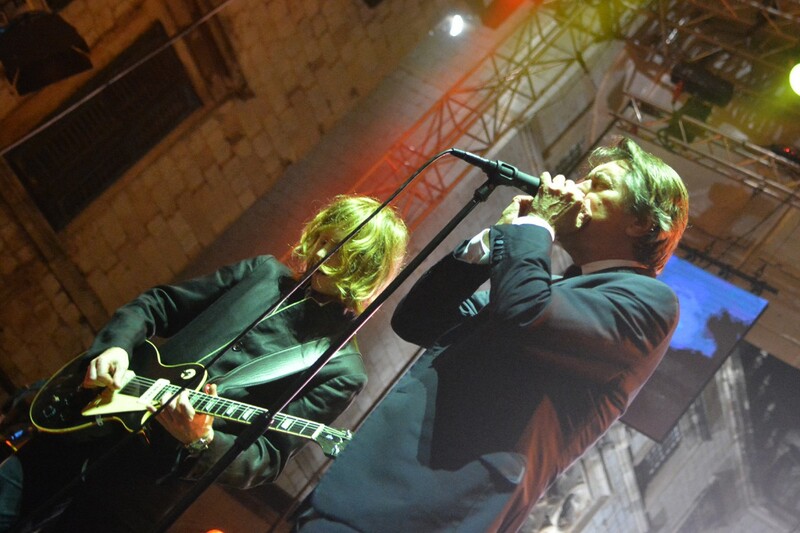 What followed was an incredible performance by Ferry and the Bryan Ferry Orchestra with hundreds packed on the Stradun delighting in the free concert. 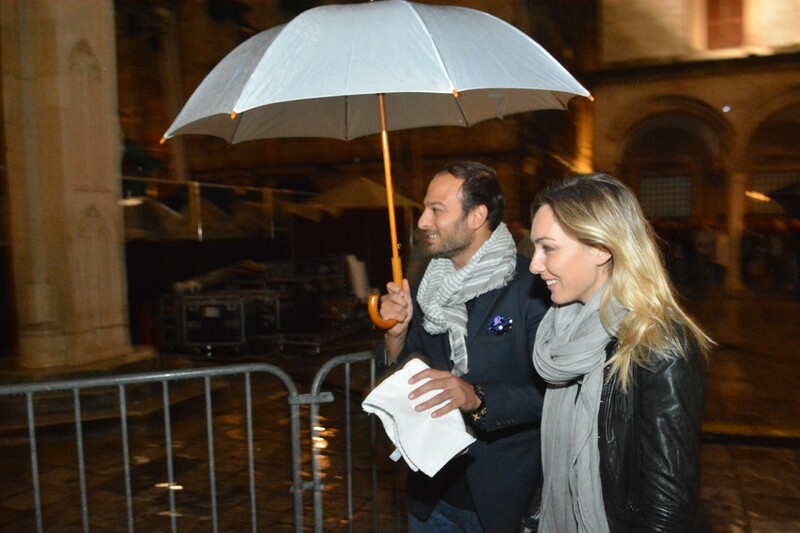 People came prepared with rain coats, cagoules and umbrellas and others just gave in to the weather and went barefoot. Ferry’s concert was a truly one of a kind experience with his stage framed by the Sponza Palace and the Church of St. Blaise. 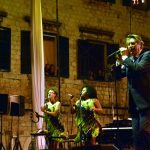 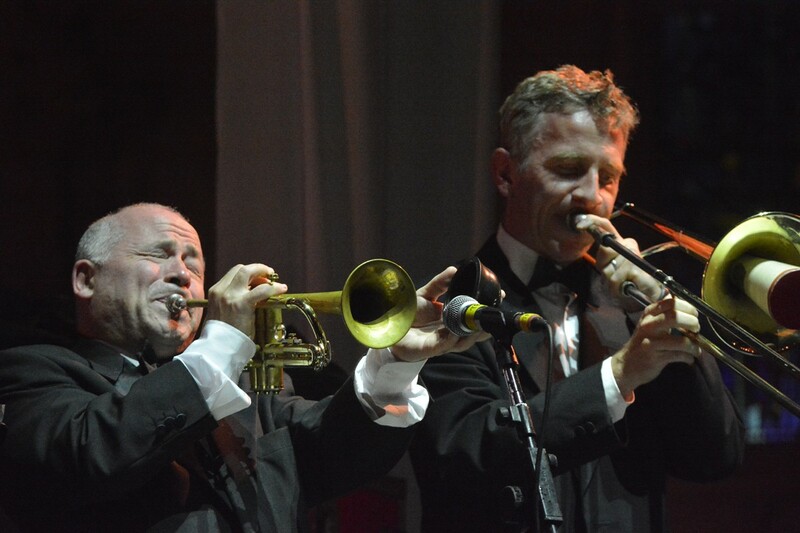 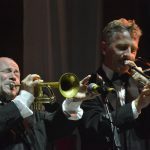 Event organisers Adriatic Luxury Hotels gifted the concert to the City of Dubrovnik and its guests to mark the Hotel Excelsior’s 100th birthday and what a party it was. 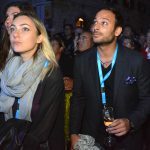 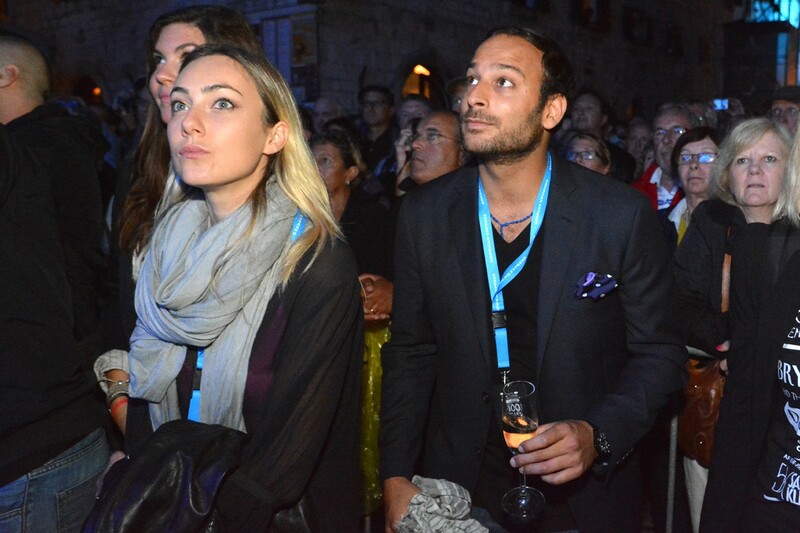 Adriatic Luxury Hotels owner Davor Luksic enjoyed the concert from the front row with his Italian fiance Cristel Chiara Carrisi with Ferry’s sons soaking up the atmosphere from the VIP area alongside other guests. 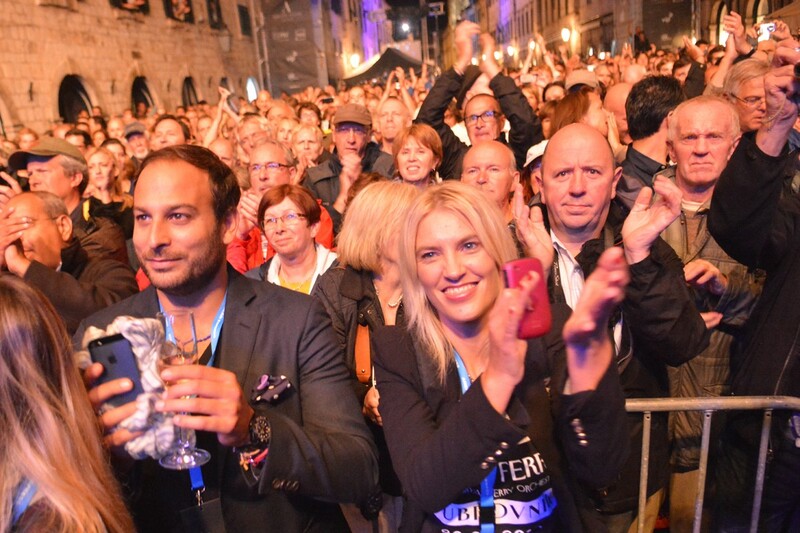 Following Ferry’s set, DJ Sander Kleinenberg took to the decks for a set that brought house music to the Stradun for the first time. 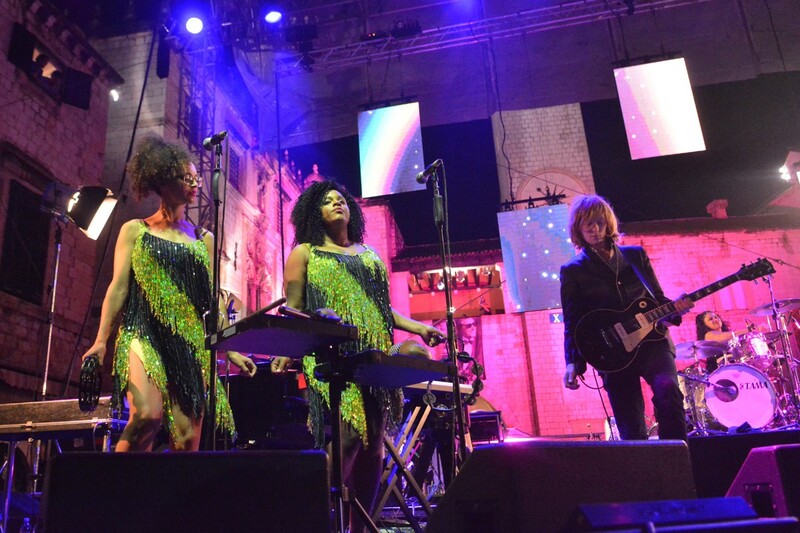 People danced until the small hours unperturbed by the wet floor and light showers. 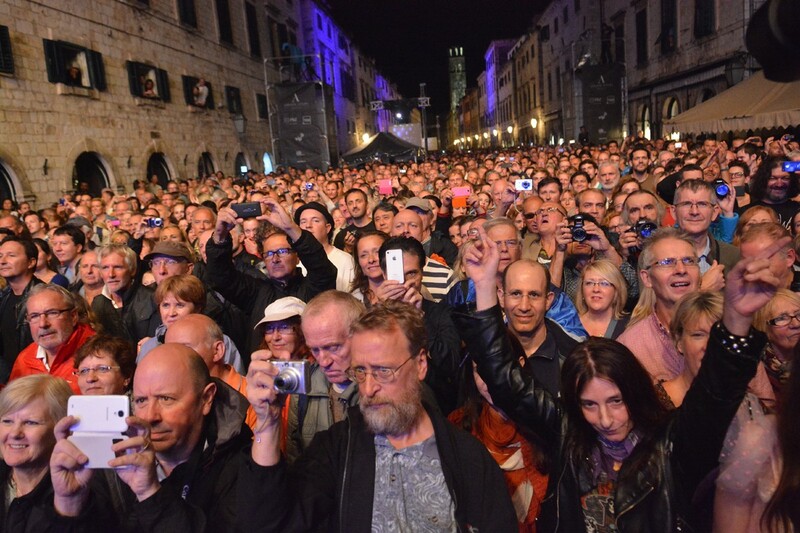 Take a look at our photo gallery to see what you missed!